In need of some woodwork? Chances are you’ll want to hire a Strattanville, PA carpenter. Carpenters work with all types of wood and can specialize in many different areas, including framing, finishing and custom-made furniture. Make sure you choose the right Strattanville carpenter for your job by asking plenty of questions, viewing their past work and reading reviews. 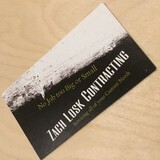 Zach Losk contracting specializes in many aspects of the construction process and brings nearly 15 years of experience. Through streamlining your project we are able to keep the process moving without delay. Providing custom carpentry services, we can do anything from your "honey do list" items to fully designed kitchens,baths, and decks. Our passion is in the finer details to create a lasting impression for your family and friends. We look forward to taking a look at your next project and making your dream a reality. 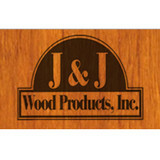 J & J Wood Products, Inc is a family owned & operated business, established in 1953. 2nd Generation owners, brothers Gary & Ken Feroce grew up learning about cabinetmaking & design.J & J offers full service remodeling, including: plumbing, electrical, flooring, tile work & painting. We at J & J build all of our own cabinetry, specifically designed for you & your home. All major brands of appliances are available, along with granite, quartz, solid surface and laminate countertops. J & J also remodels bathrooms, designs & builds custom bookcases, bar units, hutches, desks and display cases. 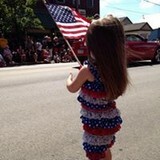 Member of Strongland Chamber of Commerce. In business for 59 years and 2 generations of experience. Spring Hill Woodworks of Commodore, PA is your trusted woodwork manufacturer and installer. From cabinets and stairs to coffered ceilings, we can can handle your project from design to installation. 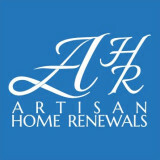 We guarantee quality, excellent craftsmanship, dependable service and professionalism. We produce a variety of wood products. Custom cabinetry, wall paneling/wainscoting, fireplace surrounds, and replication of wood moldings are a few of the services we offer. Our work is backed by a one year guarantee on material and labor. We design projects to your specifications or can work with drawings from your interior designer or architect as well. We use cabinet grade plywoods that are formaldehyde free and certified FSC hardwoods. Unlike most general contractors who purchase surfaced material from home centers, we machine all of our solid stock from rough lumber. This ensures that your project comes together with tight joinery and remains stable. Our projects are built to last using traditional joinery techniques such as mortise and tenon, rabbet, and dado joints to name a few. 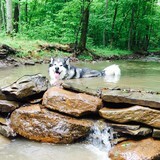 We accept Visa, Master Card, American Express, Discover, or personal check. I am Jim Anicas, the business owner, designer, and sole employee. I work personally with each individual customer to fully understand your ideas and requirements. I ensure that the finished work is everything that you expected, and more. Custom building allows total flexibility in your personal demands regarding style, dimensions, material and finish. It eliminates the compromises that are necessary when you purchase pre-manufactured items, which offer few customized ideas and options. Over 25 years of woodworking experience goes into personally hand-crafting each piece to fit your needs, and transform your ideas into reality to be enjoyed for years to come. Anicas Custom Woodworks specializes in custom built bars, cabinetry, entertainment centers and a variety of furniture to enhance your home or office. Please take time to view the photos of some of my work that I've presented here. Whether its a simple repair, custom installation or large renovation we pride ourselves on our attention to detail and the satisfaction of you the customer. At Bentleys Woodshop you will recieve a computer rendered photo of your custom furniture for your approval prior to being custom made. At Stevens Woodworks, we understand that you are unique. So why should your home and the furniture inside of it be any less distinctive? Make your home your own by turning to our expert craftsmen at Stevens Woodworks for inspiring and one-of-a-kind woodworking engagements. Our custom woodworking shop has been creating unusual and inspiring custom wood furniture in Pittsburgh, PA for more than 10 years. Our professional staff has successfully provided custom wood furniture in Pittsburgh, PA for numerous projects that required certain styles and sizes. Perhaps you need wood cabinetry that has specific criteria to accommodate your surroundings or the contents, or you want an item of artistic expression to fill a particular design request. Whatever you want, our experienced craftsmen can produce your dream custom wood furniture in Pittsburgh, PA. From custom cabinets and wood doors to handmade furniture and built-in office bookcases, we custom design and build to suit. When you order a unique wood piece from Stevens Woodworks, you can rest easy knowing you bought a high quality product that is guaranteed to be stunning. Our experience includes residential construction, heirloom-quality furniture design, cabinetmaking, and architectural restoration. If you own a historically significant piece of furniture or other piece of property, please trust in our experts to restore it to its original condition! We do work on fireplace mantels, doors, bookcases, windows, and more! Our expert staff and team strive to provide high quality products and services. They are dedicated to adhering to the structural detail and functional design of all the products we create. Our professionals have an engineering background, which means we place close attention to structural detail and functional design. At Stevens Woodwork, we are proud to have an experienced team of woodworkers, as well as an LEED-AP certified engineer on staff, to ensure you get only superior service and products! Improve the ambiance in your home or business by contacting us for custom wood furniture in Pittsburgh, PA. We proudly serve clients throughout Pittsburgh, Pennsylvania, and the surrounding areas! To begin your project for your dream custom wood furniture in Pittsburgh, PA, please give us a call today at (412) 487-4408!